The Wall Street Journal reported Friday that the Indian Point Energy Center was denied certification after the New York State Department said it failed to comply with coastal regulations. 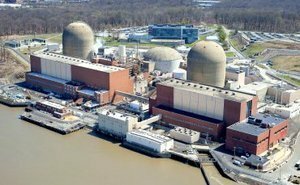 The facility and its owners, Entergy Corp., have been seeking federal 20-year license renewals on its nuclear plants. This process was initiated in 2007. According to the state government, the facility has damaged coastal resources around the Hudson River and puts approximately 17 million people in the area at risk. The state also reports that approximately 1 billion tiny bony fish and other species in the area are killed on an annual basis due to the plant’s operation. The Wall Street Journal also reports the facility is located near seismic fissures, putting it at risk for an earthquake. The company reports that the facility has had upgrades to protect against seismic damage following the disaster at the Fukushima plant in Japan. George Washington University law professor Emily Hammond told the Wall Street Journal the method the state is using tends to be ineffective. She also reports the safety of nuclear power plants falls under federal and not state law. The New York State Department claims that the U.S. Nuclear Regulatory Commission is unable to issue approved extensions to operational licenses unless the company files a successful appeal to the U.S. Secretary of Commerce. Want to get notified whenever we write about Wall Street Journal ? Next time we write about Wall Street Journal, we'll email you a link to the story. You may edit your settings or unsubscribe at any time.